Last week, Vermont was hit with two feet of fluffy white powder. Perfect for snowboarding and skiing. 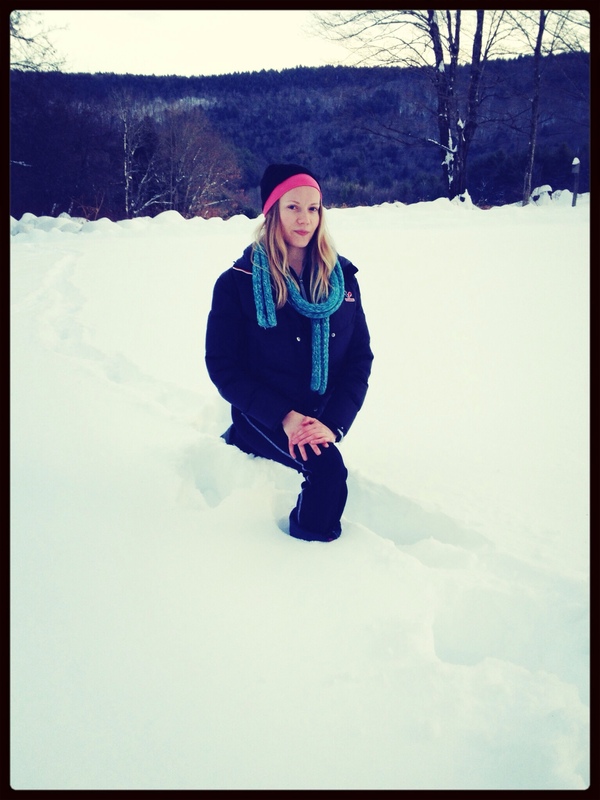 I love to play in the snow and challenged myself with a few asanas. 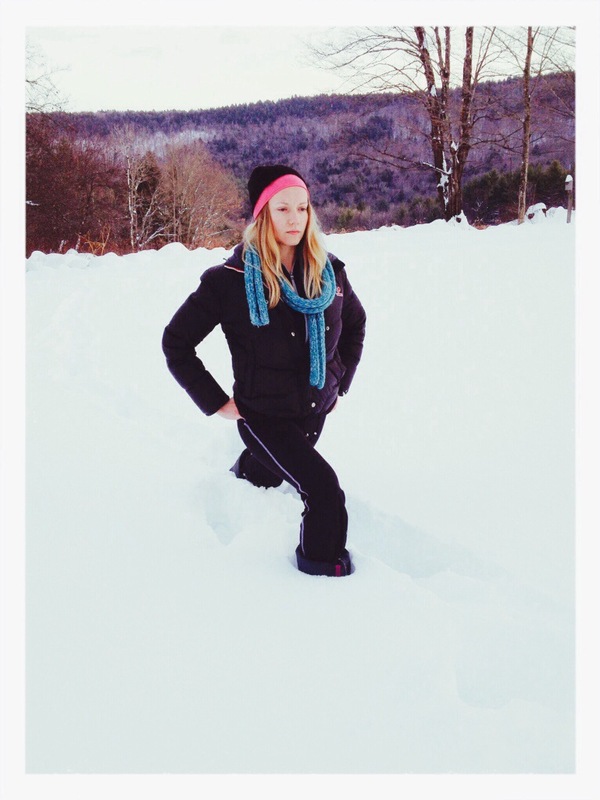 It’s hard to move when dressed for winter (puffy coats and heavy boots aren’t made for yoga) but I managed a few snow poses. High Lunge: Square your hip points, align the knee directly over your ankle. Engage your core and lengthen the spine to the sky. Bend deeply into the pose, keeping the torso lifted and your back leg strong. Raise your arms high overhead (if you can in your coat, I couldn’t 🙂 Lunging in the snow is definitely a workout. The hip flexors and inner groins release, great for counteracting all the sitting and driving we do during the holidays. You’ll appreciate the cold winter air after a few of these! From a high lunge, rotate your torso and bring your left arm to the outside of the right knee (this knee in lunge). Twist and bring your abdomen over the lunging leg. Draw the shoulder blades down the back and play around with lengthening and twisting the spine, on the inhale/exhale. Twists are detoxifying, improve circulation, and restore the spine’s mobility. Yoga snow poses are fun! And if you fall out, make a snow angel.